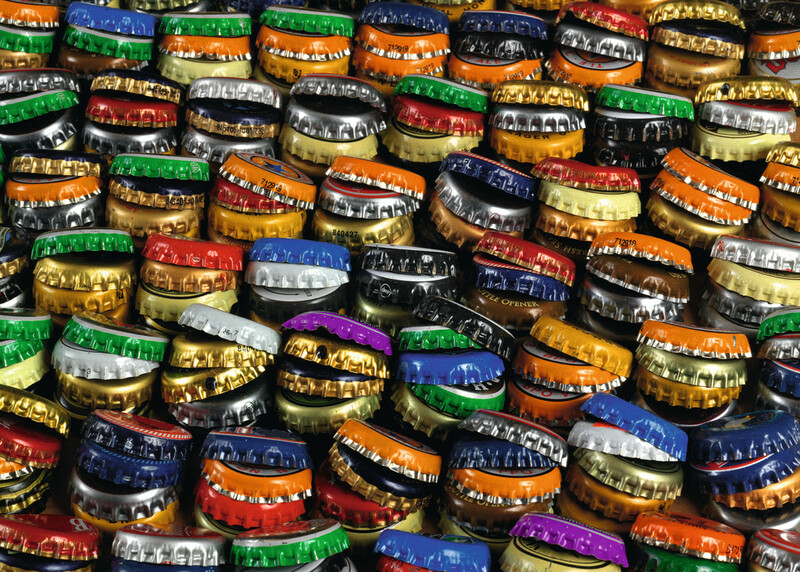 Bottlecap Hills. 1000 pieces. 70 x 50 cms. Manufactured by Ravensburger. This collage style puzzle features rows of vintage and modern bottlecaps. It presents a unique challenge, there is no designed pattern, and the caps maintain a similar shape. Perfect for those looking for a challenge!